Eating the Plates describes what the passage across the ocean was like for the pilgrims. It relates historical information on the daily life of the pilgrims. 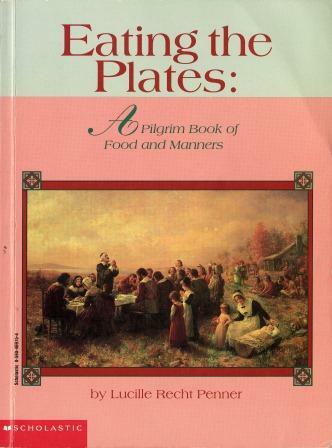 The book explains the hardships the pilgrims faced on the trip and after their arrival. Can you imagine a journey of many weeks with no means of bathing? How about eating moldy or bug infested food? Imagine the difficulties of building shelters from scratch as the cold weather arrived. Do you know what a betty lamp is? How about a burgoo? Or a lug pole? And of course, what does the title mean? Eating the Plates will answer these questions and many others. A nice addition to the book is a small collection of recipes found at the end of the book. Try your culinary talents by preparing fresh corn soup, red pickled eggs, whole baked pumpkin stuffed with apples, or bearberry jelly. Though the book is written for children, adults will find it interesting, too. 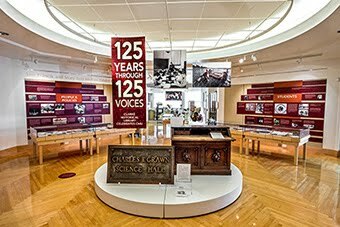 Visit the Clarke Historical Library and find Eating the Plates as well as other wonderful, fun, unusual, and intriguing books.